People who held back on starting a pension because of the economic downturn could be big losers when it comes to retirement, new research has found. Many people have held off starting a pension, while others stopped payments, or radically cut back on contributions, due to the economic squeeze. Now it has emerged that those who stalled and stopped contributing are set to lose out heavily. So-called "pension stallers" who have put off starting a retirement plan over the past 10 years could have a savings pot of around €140,000 less than those who started earlier, according to calculations by broker Clear Financial. Large numbers of people put the idea of pension saving on the long finger during the recession, according to Michael Keating, a financial adviser at the firm. "It has been 10 years since Ireland started its decline into recession and we believe that when this happened, lots of workers put the idea of pension saving on hold until they were able to weather the financial storm that was passing," he said. Since the downturn many of these people, despite the best of intentions, have not managed to devote any time or money into setting up a pension and saving for retirement, he said. "We are really calling on these people to sit up and take note - every year you put it off costs you." Based on a number of assumptions, your pension pot is halved for every 10 years you put it off, Mr Keating said. "If you were 25 10 years ago when the recession started and contributed €80 (net) every month into a pension, your pension pot would be almost €275,000 when you retire at 68. "If you haven't done anything about starting a pension in those 10 years since 2007 but if you start today, aged 35, your pot at age 68 will be €140,000, half of what it might have been had you started in 2007," he said. The Clear Financial calculations demonstrate that if people who are 55 start to save €80 per month into a pension, their fund at 68 will be 62pc less than if they started saving in 2007. Clear Financial said its aim was not to alarm people but rather to prompt them into action. Mr Keating said those who stalled on pension payments may find themselves in a better financial position now and should consider restarting their pension saving habits. "The figures really do drive home the point that the longer you wait, the bigger the negative impact on your pension pot," he said. Pensions experts said that when people started a pension early, their money had more time to grow, which could give them a higher income in retirement. 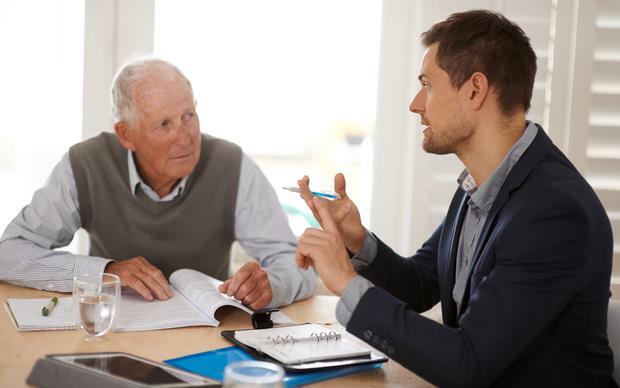 The State consumer advice body, the Competition and Consumer Protection Commission, points out: "The earlier you start saving for retirement the better. This will give you more time to make contributions and more time for your fund to grow in value." Mr Keating added: "Those who save into a pension fund in their 20s and 30s have a far better chance of accumulating a much more significant retirement pot than those who leave it until later in life - even if the latter put in more substantial sums."